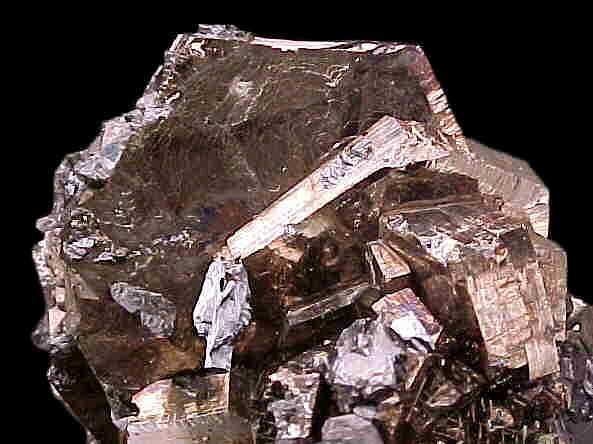 Comments: Lustrous sharp crystals of pyrrhotite to 3.5 cm in size with minor sphalerite and chalcopyrite. Location: Nikolaevskiy mine, Dal'negors, Primorskiy Kray, Russia. Scale: 4 x 5 x 5.5 cm.